What a sweet tag, Mary! 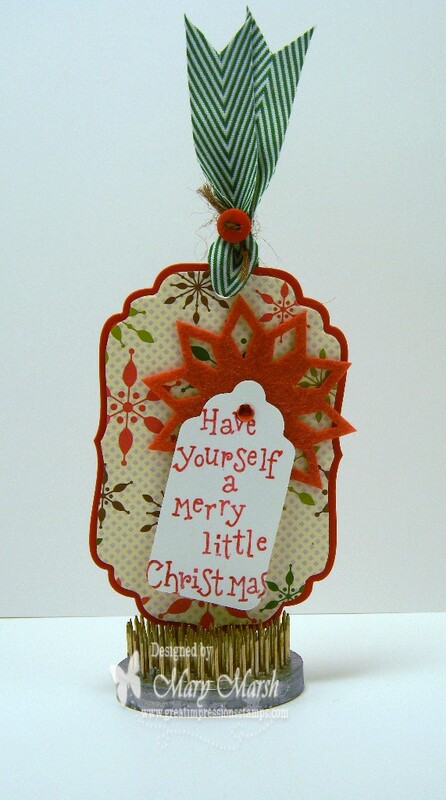 Pretty paper, ribbon and embellishments...and a darling sentiment to top it all off! Love the quick and pretty tag. Merry Christmas to you, too! 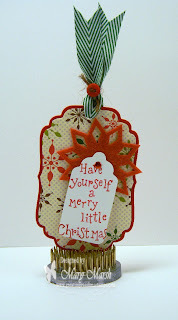 I adore handmade tags! This one is darling - especially like the ribbon treatment - really makes it pop! Merry Christmas sweet Mary!